Beth Donnelly Cabán is a registered nurse and yoga teacher who has worked with people in managing health for more than twenty years. She teaches you how to make low tech, low cost lifestyle changes that augment health, wellbeing, healing and vitality. She teaches movement, breath, awareness, deep relaxation, and meditation as ways of building and maintaining strength, stamina, stillness, endurance, balance and flexibility and to manage stress, anxiety and depression. Beth has been teaching yoga since 1997. She teaches the Prenatal, Postpartum, and Labor & Birth Teacher Trainings Programs for the Integral Yoga Institute. She lives in Western Massachusetts where she teaches classes and workshops. 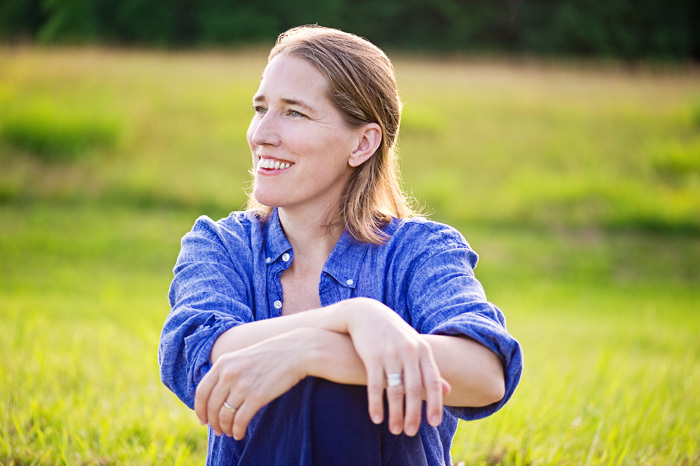 Beth is a childbirth educator, doula, and midwife assistant who has taught hundreds of childbirth education, newborn and infant care, and breastfeeding classes, and attended nearly 200 births. She served on the Board of Directors of the Childbirth Education Association of Metropolitan New York (CEAMNY) from 2008-2013, and teaches in their certification program. She has trained with Janet Balaskas and Michel Odent at the Active Birth Centre in London and Ina May Gaskin and company at the Farm in Tennessee.